This is the one thing that I really really hope we do this offseason. 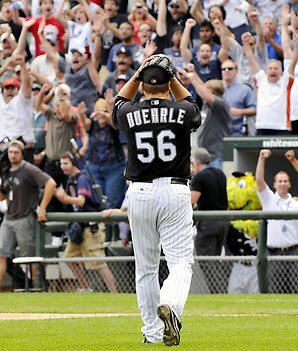 I know we have a full starting rotation with a lot of options, but Mark Buehrle is a dominant (and highly underrated) number 1 starter. But more than that, he is a long established veteran with the team, and I’m sure he is a great influence on the younger players in the clubhouse. If we lose him, I think we lose more than just a piece of the rotation. On a related note, I really wish MLB would hyphenate ‘re-sign’ when writing article headlines. Reading headlines like last year’s ‘White Sox resign Paul Konerko’ immediately makes me think the player has been let go from the team. As much as I would love this to happen, I know that it probably won’t. Omar has been great the last couple of years, at times carrying the team with his defence, and his influence on our young infield has been fantastic. 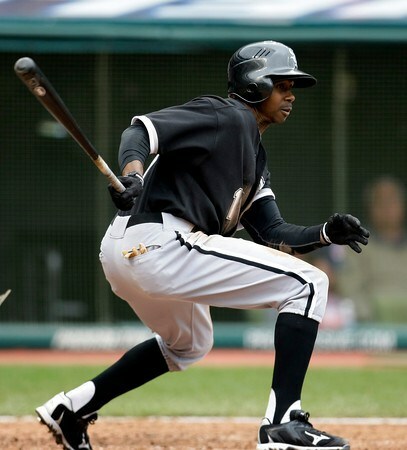 Even though he’ll be 45 at the start of next season, he is still a superb player showing no signs of decline, but he’s probably too much budget for the White Sox. If he ever decides to retire, he would make a great coach, so he could re-join the Sox in that capacity in the future. I’ve loved Pierre while he has played for us. He may have struggled a little this year, but he is a speedy guy, and a great leadoff hitter. Unfortunately for him, we have a lot of guys in the minor leagues who are ready to take his place, and for far less salary. I have no doubt that he would be able to find a place with another team, but I don’t think he is a fit for the White Sox next year, and would be an ideal place to shed some budget. 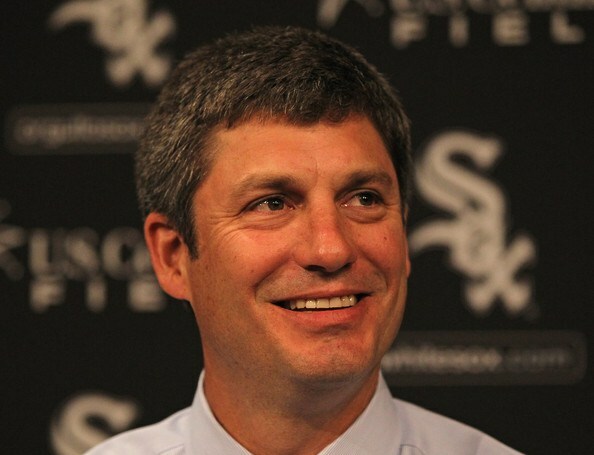 As much as I loved Ozzie Guillen, it will be a refreshing change to have a new guy at the helm. He’s coming into the team at a tricky time after a very disappointing season, but it will give him a great chance to turn things around. He’s not had managerial experience at any level, so he is being thrown in at the deep end, but he has a vast amount of baseball knowledge which puts him in good stead for the year ahead. Peavy has had a difficult time the last year and a half, having surgery to repair a detached lat muscle in July 2010. They estimated at least a year for his recovery, but he came back ahead of schedule, only to be shut down with fatigue at the start of September. Understandable really as he was going through a rehab program last winter so he never got a chance to rest before the season started. Hopefully he’ll get back into his normal off season program and come back in March ready to go for a full season next year. It would be nice for him to return to the Cy Young award winning Peavy of 2007. Let me know what you think – do you agree, or do you have your own hopes for the offseason?